of the Museum because it is so heavy! Now, more than ever, it is important to remember the history of the Cold War. The Museum of World Treasures a has a piece of the Berlin Wall on display. 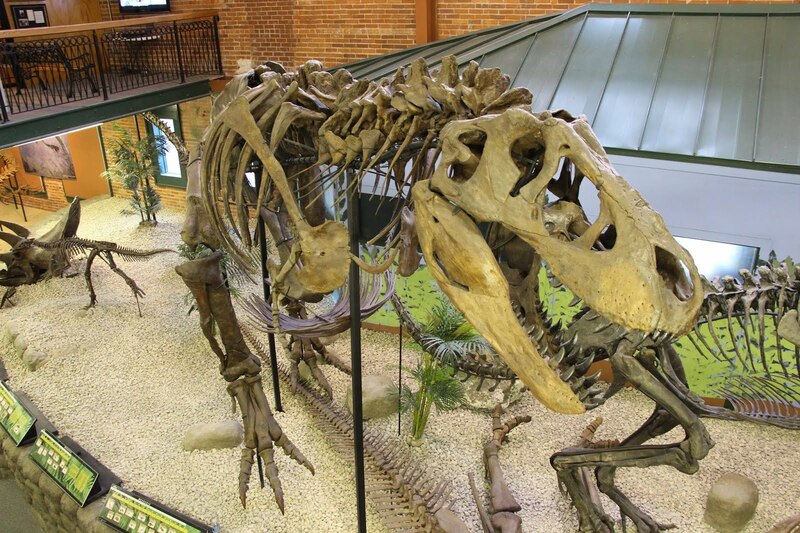 We would love to have this piece of history on the second floor in our World War II exhibit! Unfortunately it weighs 4.5 tons and is 12 feet tall. Our ceilings on the second floor are 11 feet high. We had to install supports in the basement to allow for its enormous weight. And there's no way to get it up the stairs. 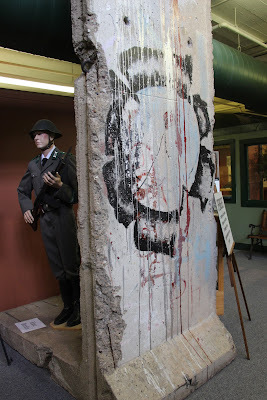 This piece of the Berlin Wall is on loan to the Museum of World Treasures from the American Overseas Schools Historical Society (AOSHS), whose archives are in Wichita. AOSHS was given the wall from the Berlin American High School Alumni Association. We're not sure where it was located while it was still part of the original wall. Visit AOSHS in the Delano District on Douglas Ave. for more information. The Berlin Wall was erected in the dead of night to separate West Berlin and East German from 1961 to 1989. It served as the symbolic boundary between democracy and Communism during the Cold War. For 28 years the wall kept East Germans from fleeing to the West. The creation of the wall stemmed from WWII conflict and how the Allied powers divided Germany into four zones, one for the United States, Great Britain, France and the Soviet Union. The same zoning happened within the capital city, Berlin. When things fell apart between the Soviet Union and the other nations, the occupation of Germany turned aggressive. The country soon became divided into West versus East, democracy versus Communism. The same division happened in the capital city of Berlin, which was located entirely within the Soviet Union zone. West Berlin became isolated in a land of Communism. The fall of the Berlin Wall happened suddenly in 1989 when Communism fell in Poland, Hungary and Czechoslovakia. On Nov. 9, an announcement made by East Germany government allowed permanent relocation through all checkpoints between East and West Germany. The wall was torn down and East and West Germany reunified into a single German state on Oct. 3, 1990. 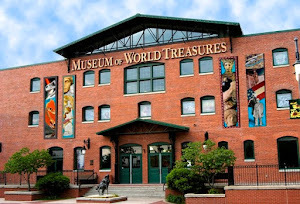 Visit the Museum today to see the Berlin Wall and many more military artifacts.